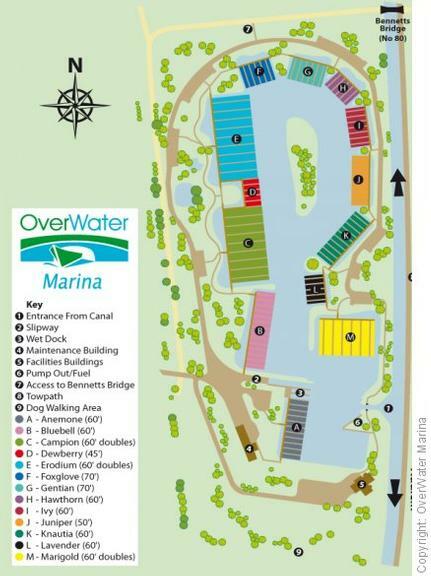 This dairy farm in the UK used EAFRD co-financing to take advantage of its location on a busy inland waterway to develop a comprehensive "marina facility" with the creation of 9 new jobs, plus additional benefits for local tourism. A dairy farm employing five people but struggling to remain viable, saw a great opportunity to develop a tourism business servicing the busy waterway traffic near the popular tourism village of Audlem. Already part of an agri-environment management scheme, the farm wanted a diversified income base without compromising on the beauty and tranquility of the area. Creation of jobs and a contribution to the local economy were also important considerations. The main idea was to diversify the income earning base of this conventional dairy farm enterprise by building a "marina facility" (with moorings and services for small boats) for the users of the busy adjacent waterway in such a way that it: i) preserves and enhances the natural and built environment; ii) creates sustainable employment, and; iii) contributes to the development of tourism in the local economy. 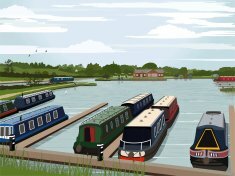 Inspiration for the development came from studies conducted by the British Waterways Board and the Marine Federation about the demand for waterways facilities of this kind and their potential economic impact. Preparatory activities included: a) overall design; b) application to the planning authority; c) financial projections based on a 59% occupancy rate; d) securing overall finance; e) building and construction (using local contractors), equipping, and; f) making the whole facility functional. Six new jobs were created with the marina, plus three additional jobs in the coffee shop and workshop. Studies on total spending generated by this type of development indicate one third is received by the core marine business and two thirds within the local economy i.e. there is a strong multiplier effect. Special provision has been made for educational access to the facilities and typically 15-20 group visits are made each year. Maintenance of the tranquility of the area was paramount. The level of risk in such a major investment was reduced due to the detailed attention given to early research and to overall project planning and management. Crucial to this was preparation of a realistic and detailed business plan. Overall, the key lesson learnt by the project developers is "don't underestimate the considerable time and commitment that needs to be devoted to project management". Audlem, near Nantwich, Cheshire, England, UK.